I’ve been getting a TON of emails asking fomeal plans, so I finally have got around to making them for you! 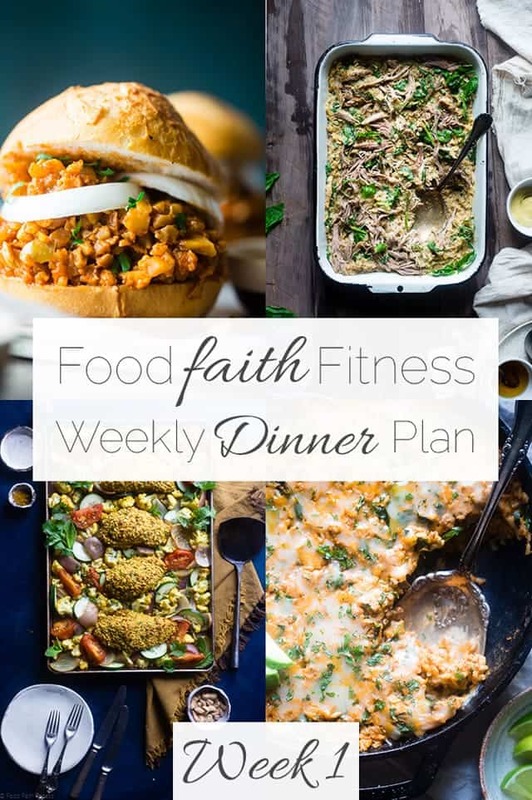 Each week I’ll provide you with 5 recipes to make for dinner for the week – and one of those recipes will double so that you eat it twice that week – so, you’ll be getting 6 dinners in your dinner plan! The 7th dinner? Well, go out! Enjoy! Each recipe name is linked to the blog post that has the recipe in it. Simply click each link, print the recipe, make your shopping list and you’re good to go! BUT, if you want ALL the work done for you, then you can purchase a completely finished package for each week for only $1.49! Each package will have a completely finished, printable grocery list for you, organized by section of the grocery store and tailored to feed a family of 4 (if you use the recipes on the site, they will be to serve varying amount of people.) Additionally, it has each of the 5 recipes already written out for you WITH nutrition information and Weight Watchers Points! Think of it as EVERYTHING you need for the week in one place – no clicking all the links, having to print out each recipe and having to make your own shopping list! So, here’s whats on the menu for the first week! Thursday – Leftovers from Wednesday! Don’t like seafood, so not really feeling the slow cooker shrimp? Try this Slow Cooker Quinoa Cheeseburger Casserole instead*! This is always a family favorite and it has all the cheeseburger taste without having to fire up the grill! Busy mornings? Rock your meal prep by making cookie dough overnight oats a few days ahead! They only require a few, simply, pantry-essential ingredients and it tastes like dessert for breakfast! Plus, they’re secretly packed with protein! *This swap is not included on the printable PDF package. Thank you SO much for doing this! I’m so excited to try it. I have a daughter fighting her own eating disorder, and I get so many ideas from you. Thank you again!! Thank you so much, love these recipes. Got them printed, already have most ingredients. Ready to get started. Truly appreciate your efforts.